CLICK HERE TO DOWNLOAD THE LOOP HIKE, "FRAGRANCE LAKE"
Discover the stunning scenery that abounds in the North Cascades region, where hikers indulge in the drama of steep peaks, deep valleys, and everything in between. 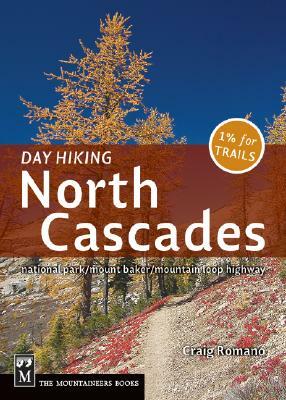 This new guide covers the Bellingham area, Mount Baker, the Highway 20 corridor, North Cascades National Park, Winthrop and the Pasayten Wilderness area, parts of Glacier Peak Wilderness, and the Mountain Loop Highway. Compact and fresh with a broad range of hiking options, this is the most up-to-date guide for the area, organized along highway and other travel corridors with an emphasis on trails that are 12 miles or less, round-trip.